I came up with a weird, yet interesting idea today. I think it would actually work quite well in vanilla Minecraft. Silver squids are a rare variation of squid. They spawn about as commonly as slimes spawn underground on a normal (not superflat) world. Silver squids look exactly like normal squids, except are light gray instead of blue. Their behavior is very similar to the Killer Rabbit of Caerbannog. Like The Killer Rabbit of Caerbannog, it is aggressive and will try to attack but will not be able to on peaceful mode. It also does 2 and a half hearts of damage on easy, 4 hearts of damage on normal, and 4 and a half hearts of damage on hard. They have a 50% to give slowness 1 for 3 seconds on hard, a 15% chance to give slowness 1 for 3 seconds on normal, and a 0% chance to give slowness on easy and peaceful. Silver squids will purposely destroy nearby boats on normal and hard. Silver squids have the same amount of health a squid has. Silver squids do kill normal squids, however, they do NOT chase squids. They only kill squids that swim close enough to them to get attacked. Like a normal squid, they can be dragged on a lead. They drop ink sacs just like normal squids do. Silver squids are only as fast as a normal squid. Now, what is the point of this silver squid? Is it supposed to be a joke like The Killer Rabbit of Caerbannog? No, it is not. It does have uses. You can drag it on the lead and tie it to a fence. If a squid comes nearby, it will kill the squid. This could be used for some sort of ink sac faming. Now, it also says in the title that you can farm prismarine with silver squids. Well, guardians will try to kill silver squids just like normal squids. However, the silver squids are immune. Due to this, the guardians will all huddle up around the silver squid and try to kill it. The guardians will actually go for silver squids over normal players, too. However, as soon as a distracted guardian is attacked, they will retaliate. Now, due to how ocean monuments generate, you would not be able to lead all the guardians out with a silver squid. Guardians drop prismarine shards and crystals if you were not aware, so you can use silver squids to get infinite prismarine. Make sure to leave feedback! Feel free to ask any questions you have and leave any suggestions you have. I can actually see the uses in this....how about on hard you can get the poison debuff, just to spice things up a bit! You could farm a lot of useful materials if you are a builder, and I think it would make capturing it more dangerous and exciting. Also, the oceans can defenitly use another reason to explore them. I like this idea, support! 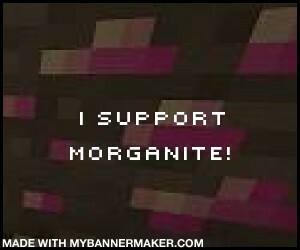 You realise Mojang is against mob farming? I don't think they would add a new mob for the sole purpose of mob farming. I don't want a squid that is hostile to other squids. And try to think if these Silver squid can spawned on the ocean and tend to kill every squid he find, wont that will be lagging with ink sac entity? I actually was not aware that they were fully against mob farming. I can still see this mob being added because, in my opinion at least, is pretty balanced. The easiest way to even kill the guardians you're farming is by hand because they'll be distracted, really easy to slay when you're only fighting one and you get the first hit off, and doesn't take the time of building tons of stuff. You could build something intricate, but in my opinion, it would just be a waste of time. You don't want a really rare squid that is hostile to other squids and can be used to farm ink sacs, prismarine, and fish? I know squid can already be auto-farmed. Really, the squid killing was meant to be like a bonus to the guardians. Good point about all the dropped ink sacs everywhere... Maybe I could change it so they don't chase after squids, just kill them if they get close? I will add all the above ideas a little bit later. That will give you guys some time to give me feedback on my ideas and to tell me whether or not I should add them to the thread. How about for the people who have never heard of the killer rabbit thing (like me) you actually give damage. Since damage is a huge part, I'm gonna say no support until I know the damage. Making the thing immune to Guardians, allowngfor Guardian farms sounds pretty OP. I know most mobs can already be farmed, but often with huge structures or contraptions, not a mob on a rope. It wouldn't be able to get all the guardians out due to how ocean monuments are designed and the chance of finding a silver squid is pretty rare. I'll add that in soon. I didn't include it because I made it late at night and I assumed everyone would know what the damage of The Killer Rabbit of Caerbannog. Until I add it in, I'll have the damage right here for you. It will try to attack but will not be able to do damage on peaceful, it does 2 and a half on easy, 4 hearts on normal, and 6 hearts on hard. I'm thinking about lowering the damage on hard. I'll say half support, then. Also, never assume anything in suggestions. That's a really good rule to go by. There will always be someone who doesn't know what you're talking about. I haven't really been keeping up with the snapshot updates. support. I like the detail you put into the suggestion. also, will you make a texture? TY. I will probably not make a texture. I'm not that good at making textures.